Being a graphic designer, I spend a lot of time sitting at the computer….and my back hates me for it. Below are a few products (from dozens I’ve tried) that have provided me with the best pain relief (apart from massage). Of course these items don’t replace the need for stretching and taking work breaks, but when used in series; these really can help with back discomfort. The links below will bring you to the corresponding product page on Amazon. I bought one of these manual back massagers a month or so ago. Of all of the pain relief devices I’ve tried, this is one that gets used the most. 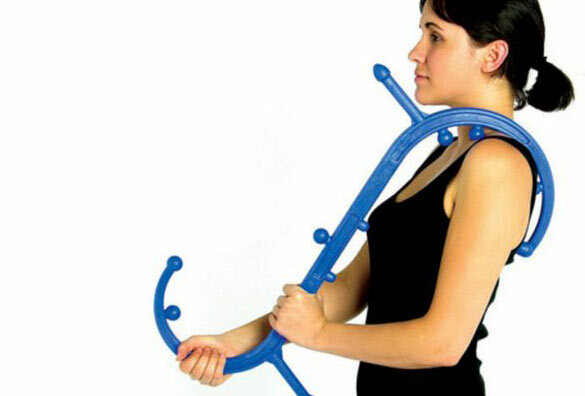 This versatile device is great at relieving trigger point pain in hard to reach areas (lower back, shoulders, neck, etc). The strategically placed knobs allow for a variety of uses. 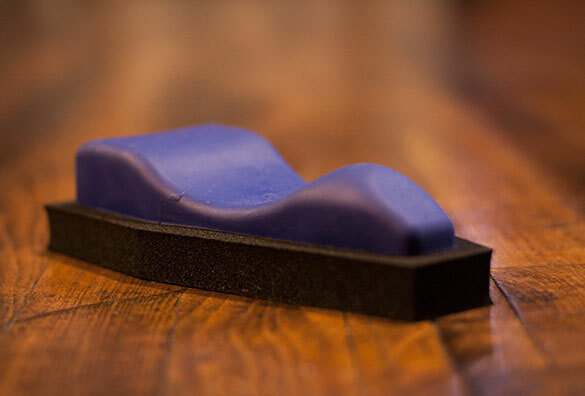 The “Sacro Wedgy” is a specifically shaped piece of a rubber that you lay down on. It’s purpose is to relax your spinal muscles with the help of gravity. I’ve tried similar devices in the past; this one seems to work the best for me. Note: the company sells a female and male version. I’ve been using microwaveable heat bags/pads for ages. Yes I feel like an old man saying that, but I honestly don’t know what I’d do without these. 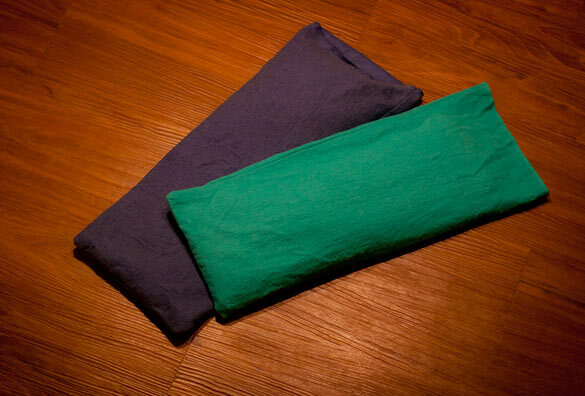 They are easy to make…all you need is a bit of fabric (muslin works fine) and some feed corn (found at your local hardware store). If you’re not in a DIY mood, you can buy them online (see link above). 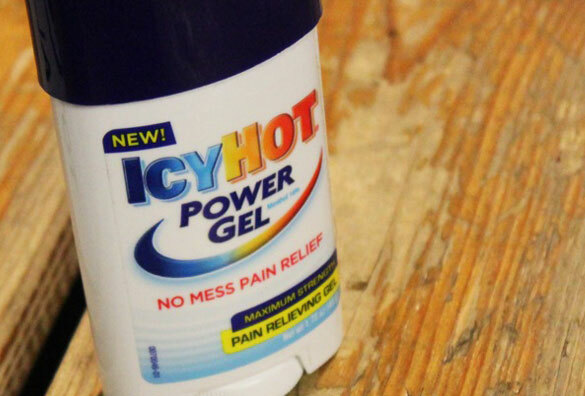 This roll-on stick contains a menthol substance that helps ease back or muscle pain by creating a cooling/numbing effect. The relief only lasts around 15 minutes per application, but something is better than nothing. These sticks have a strong menthol smell (which I actually like), but if you don’t want to smell like a piece of chewing gum you may want to pass. Another option is Capsaicin Cream…some people claim it works yet it does nothing for me. Lumbar back support cushion that straps to the back of your computer chair. 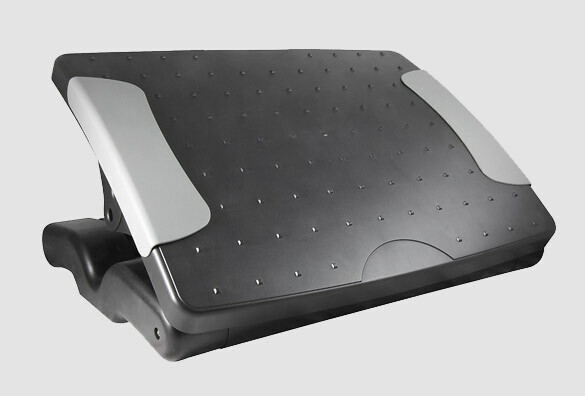 Unlike many lumbar cushions, this one supports your middle spine as well as your lower. Other good features include the multiple straps which prevent the cushion from moving around too much, and the antimicrobial protection material. Adjustable foot rest for computer users. 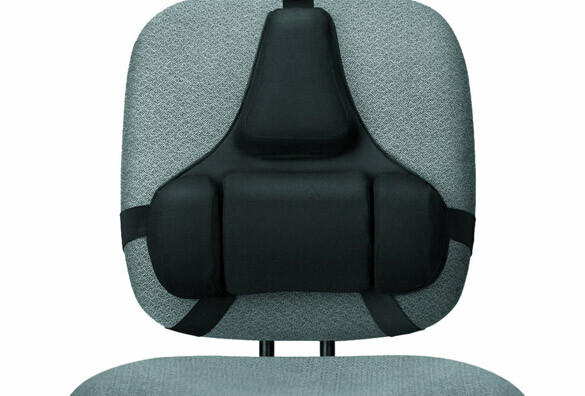 Ergonomic design allows for enhanced comfort by relieving pressure off of your legs. Also great for reclining in your chair for less downward force on the spine. For most pack pain sufferers; these inversion tables can do wonders at stretching the spine and lengthening tight muscles. While I haven’t tried this particular model here, it gets great reviews and is very affordably priced. If you’ve never used an inversion table; they work like this: you approach the device in a stand up position, lock your ankles in place, lean back and let gravity do the rest as you slowly recline into your desired position by using your arms as counterweight. If you have the room in your apartment or home, I highly recommend one of these. 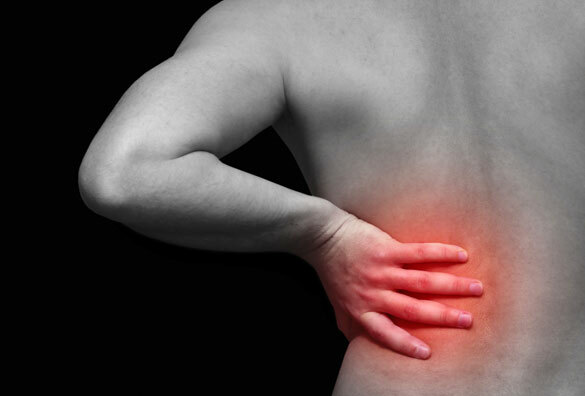 Can you recommend any other back pain devices or products that have worked for you? TIGER BALM!!! I use it everyday… it’s the “balm” lol… doesn’t smell like icy hot, is natural and feels great really gets the job done! That’s for the suggestion Beth. I bought some a while back, along with some Capsasine Cream, but didn’t notice much relief from either. Glad it works for you! I hope to buy these too in addition to my sit to stand workstation provided by our company. After I had a slip disc on my C5/C6, I am grateful to my boss for providing me with a sit to stand workstation where I am able to easily change positions from sitting to standing anytime I like. Nice products you featured there, Derek! Yeah, I bought a sit/stand desk for my design office a few months back. It is nice to escape from that sitting position on long work days at the computer. Thanks for reading Mary Ann.